This syntax should be really easy for a text viewer / editor. Since I'm just viewing these files, the editing feature is not needed. The file has 11k lines which makes it more difficult to scan for text. Is there a lightweight text viewer with folding capabilities? Both CLI and GUI solutions are welcome. The purpose of the viewer is getting me through the text file faster. 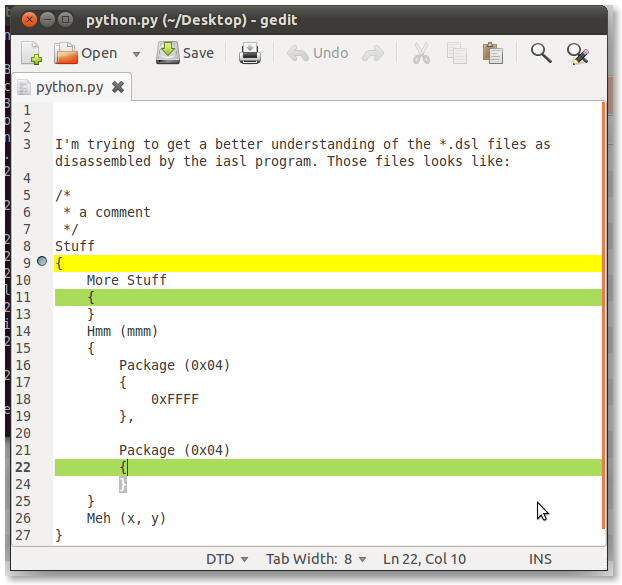 The editor geany, also useful as an IDE, has indentation based folding for python source files. You can use VIM to fold methods with a rapid command. In normal mode, type zf2j and you'll get the method folded. With a couple of extra plugins such as bookmarks and simple-folding, gedit could be a viable contender. 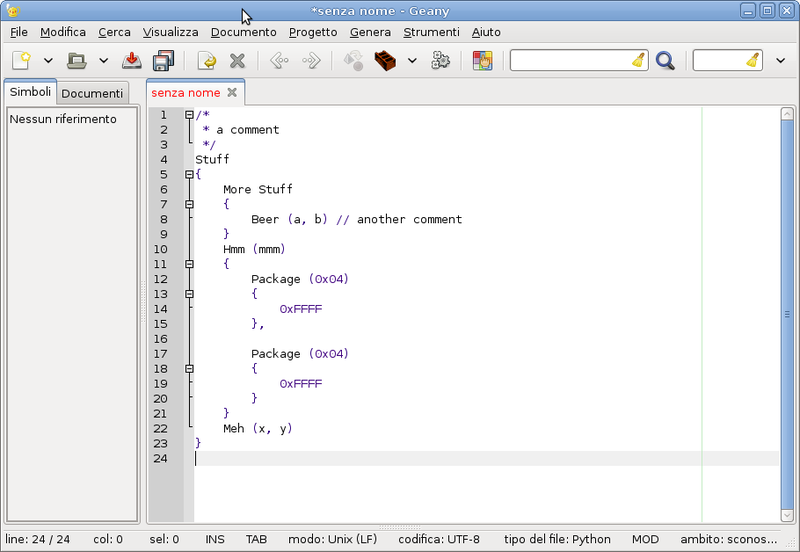 download the two simple-folding files from sourceforge Save them to .gnome2/gedit/plugins n.b. create the folder if it doesnt exist. It's name is actually FoldedViewer (no trademark infrignment intended if any) and the JS/ HTML5 program is useful for speeding up analys of DSDT/ SSDT tables by providing folding capabilities. If you're using a recent browser, especially if it's open-source like Firefox or Chromium, you'll be able to select files through a file picker.